The hidroituango, hydroelectric project in the department of Antioquia is the largest infrastructure currently running in the country. Since April 28, technical failures have occurred for the plugging of the Cauca river tunnel, which has generated an emergency due to the overflowing of the river, putting at risk the lives, houses, livelihoods and work of thousands of families. 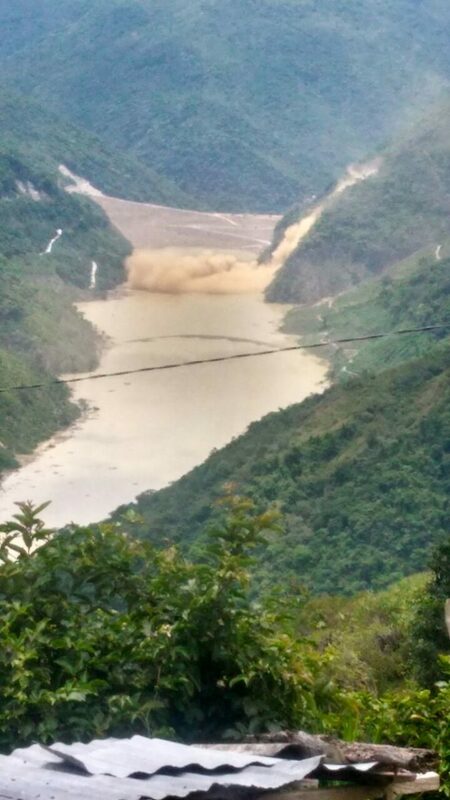 On May 16, the powerhouse dam, in trying to evacuate the accumulated water, collapsed, causing a catastrophe that could become the most serious for this Latin American country in ecological and social terms. The aforementioned conditions have led to the evacuation of 4,985 people downstream of the works involved; more than 1,000 are in unsafe shelters, with shortages of food and medicines and at least 12 riverside villages are on alert for floods and avalanches, products of the damming of the Cauca River. The manager of Empresas Públicas de Medellín -EPM- company that executes the project, talks about 120 thousand potential affected downstream. This is only referring to the humanitarian impacts.